You are here: Home / Riverboats / What is a European River Boat like? 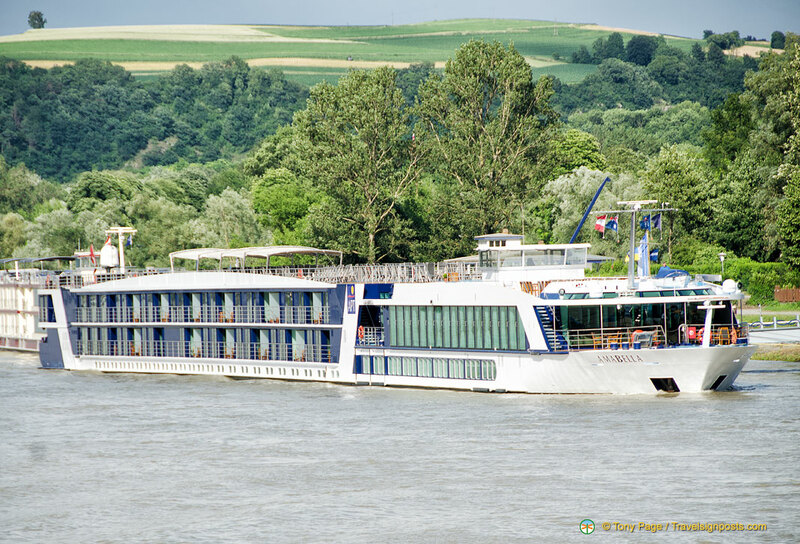 A river cruise boat is a relatively small vessel, compared to a cruise ship, with an amazingly low draft (under two metres in normal sailing), able to navigate larger rivers, waterways and inland lakes; the largest carry as many as 200 passengers, although most carry less. These boats can visit both small towns and large cities and can travel greater distances at a higher speed than canal barges. They are generally modern, multi-level vessels with up to three passenger decks, and all of the recently refurbished boats and newly built ones have lifts (elevators). As river boats can only be of a certain maximum size (approximately 12 metres wide and three passenger decks high) ) to fit through many of the major locks and under bridges along e.g. the Rhine and Danube, most of the latest boats are of very similar design. As competition increases, the new boats have ever more luxurious facilities . For example, nowadays the French balcony (full height, opening windows) in your stateroom is really a must-have option and external balconies are desirable. Most of the latest boats have television and telephones in passenger staterooms, and offer films nightly; and a”ship-cam” which shows you where the boat is going is a useful facility for the lazy! Nowadays river boats offer many onboard amenities, including laundry service, hairdressers, fitness centres, saunas, and medical facilities. Free internet access, including wifi, is another must-have, but this is still in its infancy, as the ship-to-shore satellite links are not very reliable and tend to drop out whenever you enter a lock. Scenic Tours were the first to throw down the gauntlet by offering 3.85 metre long outside balconies on four of their “Spaceship” vessels: the Scenic Emerald, Sapphire, Ruby, and Diamond, while maintaining the size of their staterooms. As the width of the ships is limited, they have done this by increasing the length of their vessels from the average of around 110 metres to 135 metres. 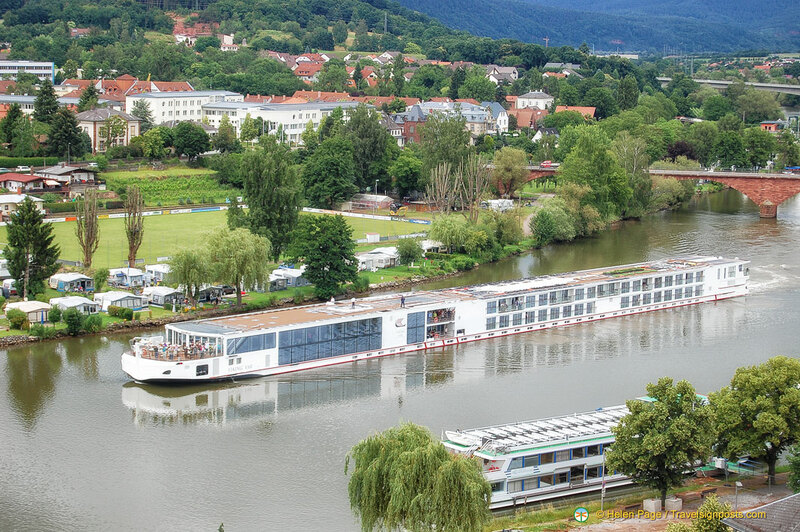 In my view this is a definite plus and other operators like Viking and Uniworld have rushed to match it, although some future designs return to the French balcony, using the extra space to increase the size of the staterooms. A European river cruise may be the best way to discover the romance, variety and true character of Europe. Rivers, canals and other waterways in Europe were originally the main highways used to transport goods and produce; as a result they can take you to the heart of many of the continent’s cities as well as to some of its most picturesque and atmospheric small towns and villages. As you cruise along, from the top deck of your river boat (or your stateroom window) you can see bridges, castles, vineyards and the ever-changing river scene and countryside. OUR ADVICE: Concentrate on the ship you want to travel on and the route you want to travel (of course, there’s also price!). Tour aggregators usually use older with less amenities. 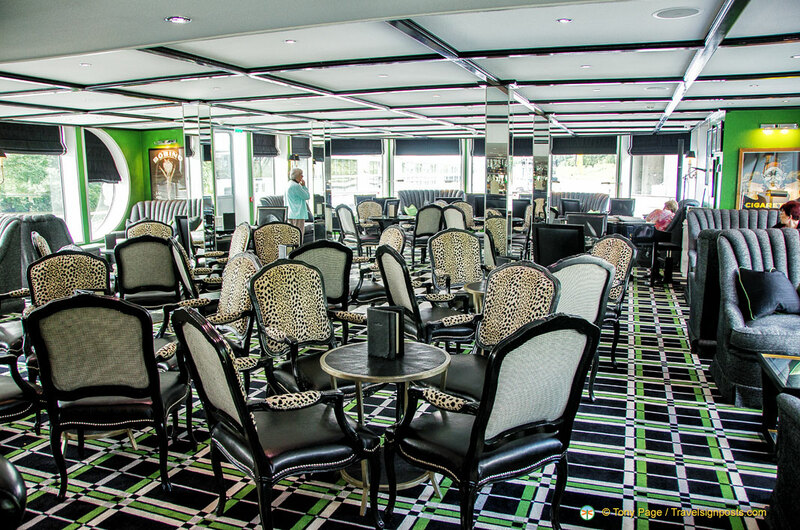 If you are choosing a cruise offered by a tour aggregator, make sure the river boat has the amenities that you want. Be sure to check out our “Things to watch for” page too!